I’m back in Ipswich from another beautiful trip to my home country. Snow in Spring near Lucerne, Switzerland, April 2017. Spring in Switzerland, country side of Basel, April 2017. This should be enough firewood for our Queensland Winter. Spring in Switzerland, May 2017. Asanas or yoga postures/exercises focus on increasing and maintaining flexibility of the spine, toning and rejuvenating the nervous system. The gentle stretching, twisting and bending movements bring flexibility to the joints and muscles of the body, as well as massaging the glands and organs. Circulation is also improved, ensuring oxygen to all the cells of the body. The different poses put pressure on various points, which help to relax the nervous system and therefore also helps to release stress. The Sanskrit word Asana means steady pose, therefore holding the yoga postures is beneficial. Taking a few deep breaths in every pose, slowing down. Ardha Matseyndrasana – half spinal twist. Standing spinal twist in triangle – Parivritta Trikonasana. 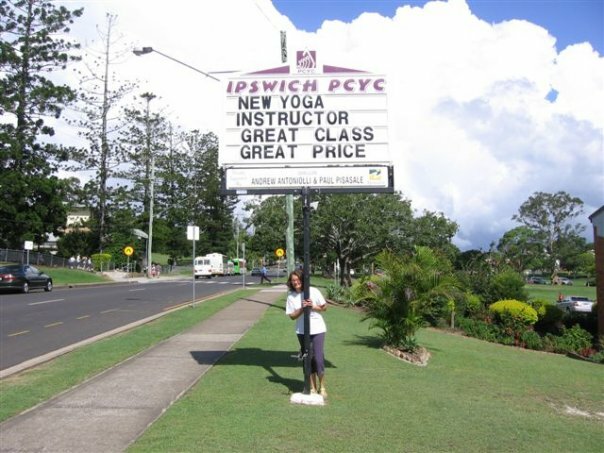 Every Wednesday evening from 6:30pm – 8pm I teach the weekly Yoga class for the local PCYC. Maria teaches the yoga class at the PCYC. The photo is from February 2009, that’s how long I have been teaching this class. The early bird, catches the best worm! 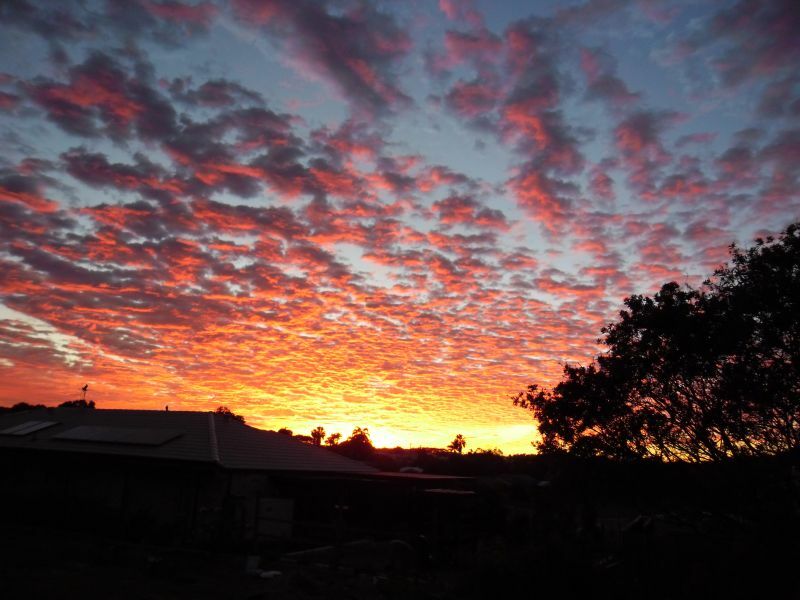 If you are up early, you can witness the silence of nature and get the chance to see some spectacular sunrises. This time of the day is what Yogis refer to as “Brahma-muhurta” – the best time to meditate, when the quality of nature is pure “Sattva”. I took this photo on Monday morning 20th May, 2013.